Before I started blogging, I had no idea what the difference between chemical and physical exfoliation was. Nor did I realize that one could safely chemically exfoliate at home. We all know this product, right? 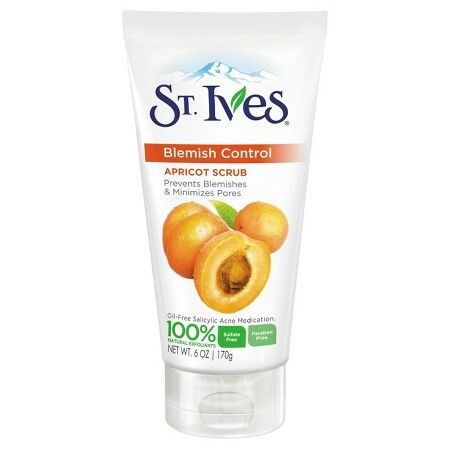 And those that keep up with beauty news know that recently, St. Ive’s Apricot Scrub has been having a bad year. A very, very bad year. The problem with physical exfoliation, as we saw in the St. Ive’s class action lawsuit, is although we think of exfoliation as little tiny particles doing some buffing, at a microscopic level, physical exfoliation is more like sandpaper on glass. In the case of St. Ive’s, large apricot pit grains were a form of very heavy duty skin sandpaper. Physical exfoliation can create crevices, tears, and overall damages skin. Some argue that small physical exfoliants–like the aluminum oxide we will encounter later in this article–are no biggie, but larger ones like apricot pits can tear and damage skin permanently, aging skin prematurely in the long-run, and giving way to potential skin infections. Personally, I always thought that the rough exfoliation of St. Ive’s Apricot Scrub made my oily skin even oilier. I was 17, with large pore and colonies of black heads on the sensitive skin on the side of my face, down my cheeks to my jawline. I tried washing two or three times a day with Clearasil, using St. Ive’s Apricot Scrub, doing extractions with my fingers, and following up with gratuitous salicylic acid gel. Soul-crushing embarrassment ensued, but I’m so thankful my dad (who never says ANYTHING) said something and put me on the path to clear skin and ultimately ditching physical exfoliants for chemical ones. First the “why”: Why do you want to chemically exfoliate? Chemical exfoliation increases skin cell turnover, helps increase collagen production (yay full squishy cheeks! 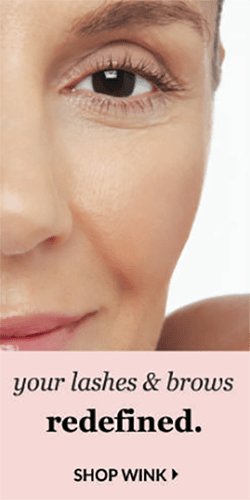 ), can decrease the appearance of sun damage, and can prevent clogged pores–all without the risks of aging your skin. It’s all the smooth, bright skin and awesome anti-aging benefits with none of the risks. 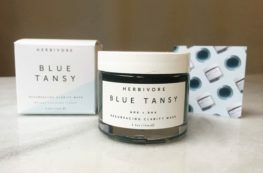 You’ve heard me talk about chemical exfoliants a few times before: when talking about where to fit SHINE into your skin routine, when talking about how to use face oils, talking about making your own BHA (salicylic acid) masks at home, and that one time when I was discovering DIY beauty tricks across Asia. In general, there’s two types of chemical exfoliants: AHAs and BHAs. You might be most familiar with the term “alpha-hydroxy acids”–those are AHAs–or “beta-hydroxy acids”–the term for BHAs. The most popular AHA is arguably glycolic acid, and the most popular BHA is probably salicylic acid. AHAs are water-soluble (in fact, hydrophilic) and perfect for dry and sun-damaged skin. They are perfect for sloughing off dead skin cells on the surface, thereby promoting cell turnover. They also have the added benefit of adding hydration to the skin. I recommend AHAs for every skin type and every skincare regimen, as they generally “brighten things up”. *Citric acid can be a BHA or AHA depending on its formulation (source). BHAs are great for sloughing off excess keratin from the head of the pore before it becomes clogged–in other words, BHAs prevent whiteheads, blackheads and pimples from ever even happening. So whether you need AHA or both BHA and AHA depends on your skin type and needs. I really love what AHAs and BHAs do for my skin, but salicylic acid does bleach towels and pillow cases (womp, womp..) and AHAs can tingle or burn. Drunk Elephant’s T.L.C. Framboos Glycolic Night Serum (12% AHA blend) is probably my–and every other bloggers’–favorite AHA on the market. If you want to super power your hydroxy-acid routine, you could also try Drunk Elephant’s newest cocktail: Sukari Baby Facial. It’s 25% AHA and 2% BHA–without the burn. I haven’t tried it yet, but it’s on my list! As a side note: You can use AHAs/BHAs twice a day if you’d like. However, don’t mix your AHA/BHA with retinol or niacinamide at the same time. You need to give your skin a break. Split them up between morning and night (e.g. AHA and BHA in the morning, retinol at night) or wait 30 minutes between applications. Here’s more on that. 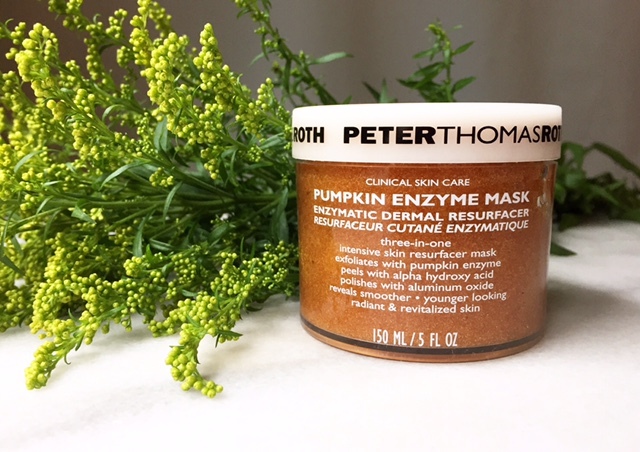 Now that we’re all caught up on chemical and physical exfoliants, I want to introduce you to Peter Thomas Roth’s Pumpkin Enzyme Mask. The 5th mask of the mask vault, it was in fact the first one I tried. After all, who doesn’t love a good pumpkin scent? If it tells you anything, one of the mask’s descriptor tags (based on frequency of use) on Sephora.com is “smells like pie!” .. and it really does. This powerful yet gently exfoliating treatment works in three ways: exfoliates with pumpkin enzyme, peels with alpha hydroxy acid (AHA), and polishes with aluminum oxide. It reveals smoother, younger-looking, radiant, and revitalized skin. Turns out aluminum oxide is a small enough particle that it’s not doing any damage. 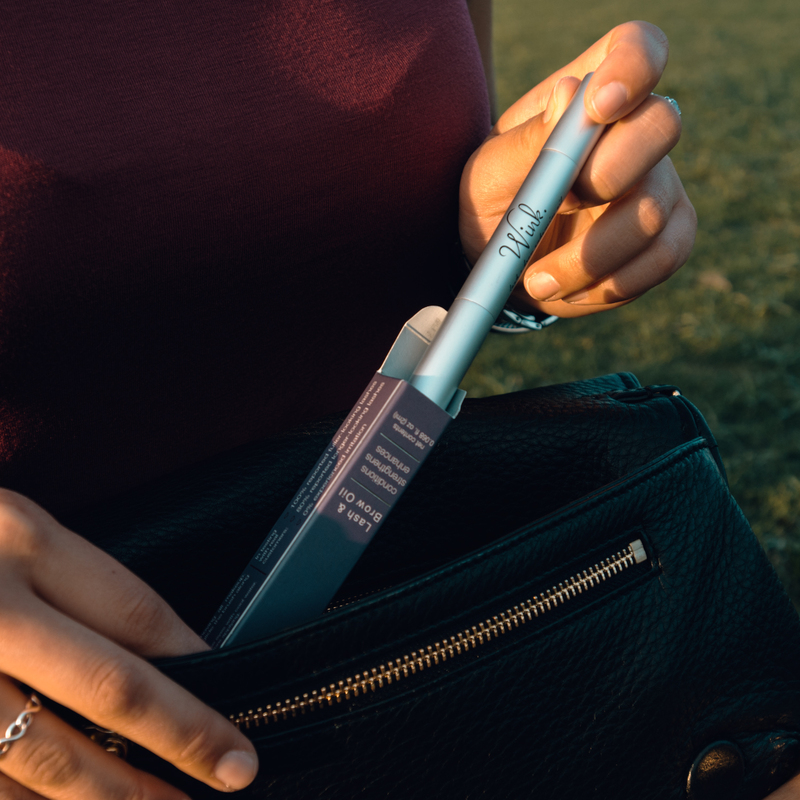 Aluminum oxide is what’s used by dermatologists to do microdermabrasion treatments–which are still pretty controversial. Given how divided dermatologists are on physical exfoliation anyway, this was an iffy ingredient for me from the beginning. Personally, I would prefer to use rice bran or another very small grain to physically exfoliate with (is that a hint that I’ll be reviewing Tatcha soon? You bet it is..), but I just decided to be extra careful with massaging with my finger tips. As for the rest of the claims, I was down for enzymes and AHAs. Bring on the ingredient check! Water, Aluminum Oxide, Glycerin, Cucurbita Pepo (Pumpkin), Triethanolamine, Carbomer, Ascorbic Acid, Tocopherol, Lactobacillus/Pumpkin Ferment Extract, Sodium Lactate, Retinyl Palmitate, Sodium Hyaluronate, Leuconostoc/Radish Root Ferment Filtrate, Edta Edetate Discodium Dihydrate USP, Methyl Eugenol, Potassium Sorbate, Sodium Benzoate, Phenoxyethanol. Pumpkin comes in at the 4th ingredient–which is kind of awesome. You can tell from feeling and smelling the mask that the pumpkin inside is real. It’s the scent, the color, all of it. Pumpkin is a great source of beta-carotene, an anti-inflammatory and sun damage reducing agent (source). Ascorbic Acid–better known as Vitamin C–comes in at ingredient 7, with Vitamin E (tocopherol), then probiotic Lactobacillus/Pumpkin Ferment Extract. 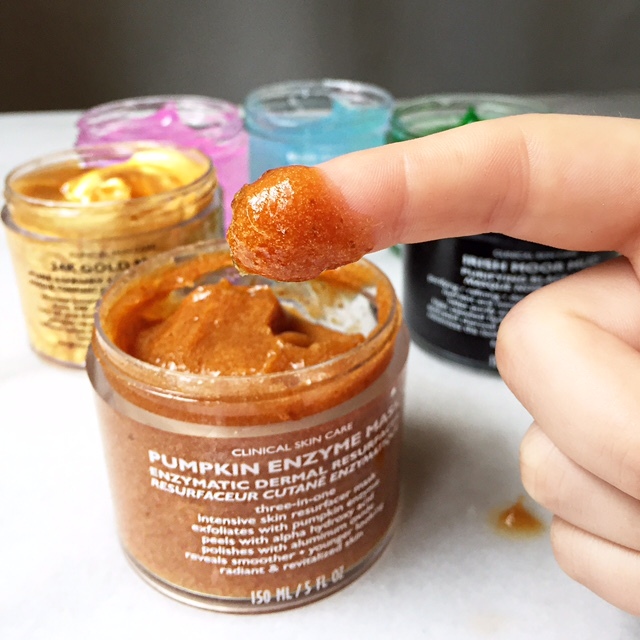 I have yet to find any research on Pumpkin Ferment extract itself, but ferments and probiotics are the new “it” thing in skincare around the globe. Most of the buzz has to do with rebalancing the bacteria on your face, but the only research really points to probiotic consumption (not topical application) aiding in reduction of UV damage to skin (source). The sodium lactate is where I believe the magic happens–it’s the AHA in this mask. Retinyl palmitate is what it sounds like–retinol, or at least a combination of pure retinol and palmitic acid–and only needs to be used in a concentration of 0.04%-0.07% to be effective (source). 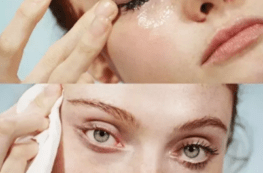 Next, sodium hyalauronate–aka contact solution–which has the amazing ability, like hyaluronic acid, to hold a lot of water (something like 500x its weight), so it contributes to dewier, more hydrated skin. Then we have some more ferment–and likely coloring, too–from the radish root, followed by preservatives. What can we take away from all of that? What to expect? This has the makings of every anti-aging skincare product in one: Vitamin C, Vitamin E, Retinol, AHA, a physical exfoliator, dewy-skin-inducing sodium hyaluronate and ferments to boot. But I actually see that as a problem. Pumpkin enzymes are not backed by enough research to be considered a reliable exfoliator (note I said pumpkin enzymes not pumpkin seed oil), Ferments are on the edge of what’s new and now (and not really backed up by much research), Retinol shouldn’t be used at the same time as AHAs (if they are indeed in this mask) and the aluminum oxide is too risky to use regularly. I actually had a great experience using this mask. It tingled, as an AHA mask will, for the first 2-3 minutes, then it subsided. One can only wear the mask for up to 10 minutes at a time. 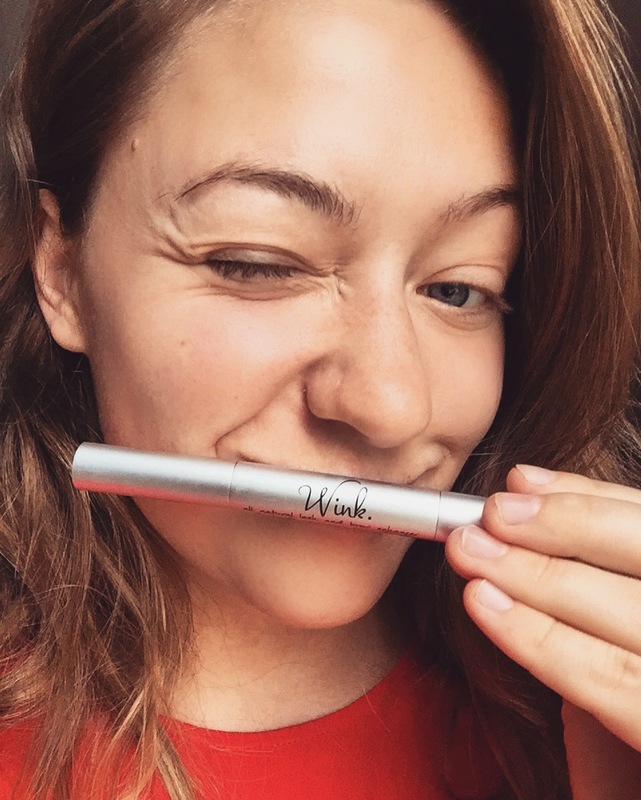 I didn’t experience any irritation and I loved the smell, feel and results–a mix of gentle exfoliation and post-masked moisturized skin. Other reviewers feel similarly; This mask has a 4.5/5 stars on Amazon, Ulta and Sephora. The left side of my brain is really arguing with on this one, though. As much as I love this mask and liked the experience, I probably shouldn’t get my AHAs from it. The aluminum oxide makes it a no-go; I just don’t want to take the risk. The retinyl palmitate and sodium lactate together also seems like an oversight by the PTR team; they render each other inactive when used together. I would rate the formula a 3/5 and the experience a 4.5/5. I think the reviewers got it right on this one. That being said, with all I know now about exfoliation, I probably wouldn’t purchase again. Back to my boring old AHA serum! If you want to try to Pumpkin Enzyme Mask or my other exfoliation recommendations, feel free to shop through the widget below. Gentle Reminders: If you liked what you read and want to see more content like this, scroll to the top of the page, enter your email in the right hand column and click “subscribe”. This blog contains affiliate links; clicking on them or purchasing through them helps support this content.